Dogs are famous for their undying devotion and unconditional love. But even a relationship with man's best friend must be earned. Trust has to be built and devotion developed, just like in any other friendship. Bonding with a dog can happen quickly and easily or take a significant amount of effort depending on a dog's history and personality. Either way, the effort will be well worth it forming a life-long inseparable bond between you and your dog. Whether you have bought a puppy or adopted an adult dog, bonding starts from the first drive home. Let your dog know from the beginning that he has found a safe and comfortable home with you. Leaving everything he currently knows and moving to a new home can be a frightening experience for a dog - especially for a puppy who is leaving his mother and litter-mates for the first time. Make the transition as least stressful as possible by speaking reassuringly to him and giving him gentle physical contact (if he seems to like it) on the ride home. A puppy or small dog may find it comforting to be wrapped in a warm towel for the drive. Some dogs may feel more secure riding home in a crate. Go with whatever seems to make your dog the most comfortable. Bringing a new dog home is exciting, so it can be tempting for the family to drown a dog in love and affection as soon as he enters the door. Remember that your dog is experiencing a lot of new things at once and give him a little space if he appears overwhelmed. 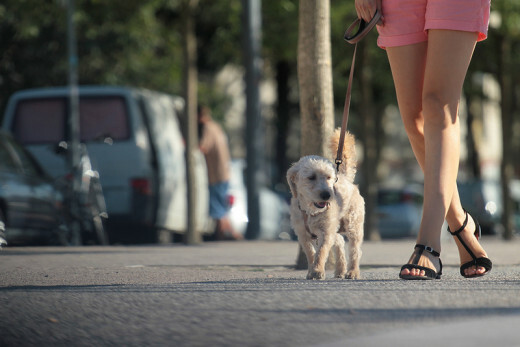 Let your dog explore his new surroundings and get to know each family member slowly. Research how to best introduce your new dog to existing pets. Because the move to a new home can be stressful and exciting, even house-trained dogs may have accidents the first week home. Be forgiving and extra gentle in corrections while your dog is still adapting. Talking to your dog is an easy way to begin bonding. Dogs are sensitive to voice inflections, so even though your dog may have no idea what you are saying, he will be able to hear the emotion behind your voice. Speak in a calm, reassuring tone to soothe your dog. Speak in an enthusiastic higher pitch to show your dog that you are happy, excited and not upset. You want your dog to associate being with you with positive feelings, so speaking to him this way will let him know you are a safe, happy person to be around. Physical contact is also important to dogs, and an excellent way to bond. Pet your dog, rub his ears and scratch his head to show him affection. 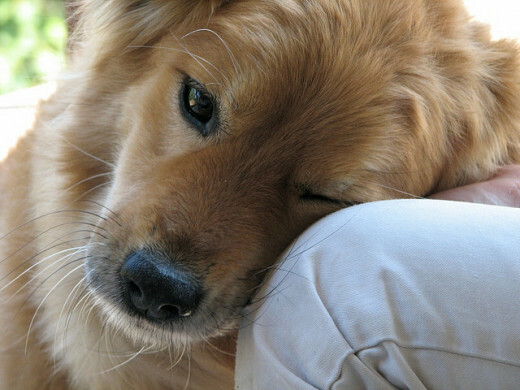 Let your dog rest his head on you or fall asleep in your lap to build trust and bonding. 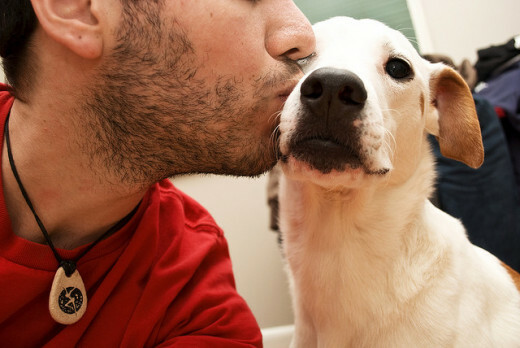 Relationships require mutual respect, so respect your dog's boundaries when it comes to physical affection. Trying to force him to snuggle and cuddle when he wants to play will only result in mutual frustration. If you have adopted a dog or puppy that is timid and fearful, he may be wary of physical contact. This is especially true of dogs that have been abused or neglected. If this is the case for your dog, do not push yourself on him. Earn his trust slowly over time and touch him only when he chooses to allow you. As your dog begins to trust you more, you will find him asking for your affection more frequently. Meeting your dog's basic needs will increase his bond with you. Dogs frequently form a stronger bond with the family member who is primarily responsible for feeding and letting the dog out. This is partly because dogs spell love T-I-M-E. 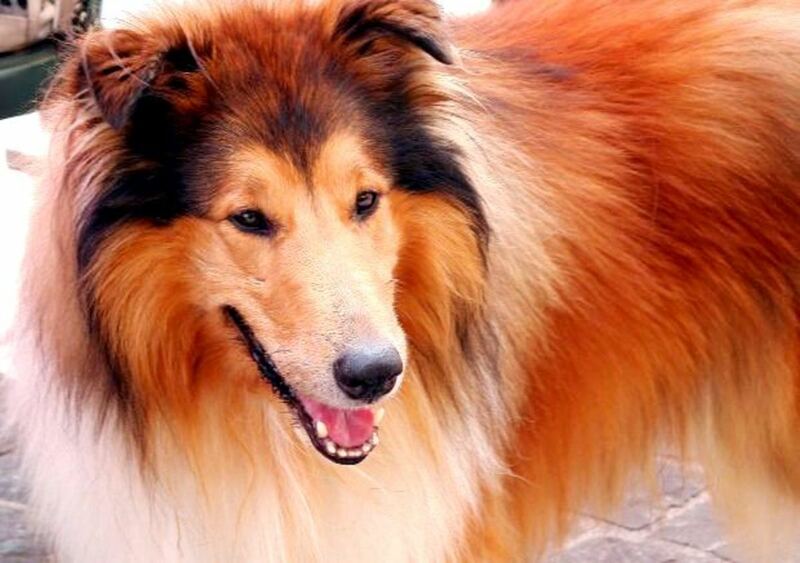 Spend time taking your dog on walks, bathing him and brushing him to cause him to love you more. It may be tempting to let your dog sleep in bed with you at night to increase your bond, but this is not recommended because it encourages a dog to think he is king of the house. Instead, spend your bonding time doing things that foster healthy respect and adoration from your dog. Training is one of the best ways to spend time with your dog because it gives him the attention he craves while also making him a more pleasant companion. Training helps your dog to understand his place in the family, showing him that he can trust you as the alpha of the pack. It also provides your dog with mental stimulation, giving him a job and keeping him from growing bored. Start with the basic obedience commands and move on to fun tricks to bond with your dog through training. Every dog needs play and exercise, and these provide more opportunity for you to bond with your dog. Invest in some toys appropriate to your dog's age, size and breed, and set aside some time every day to simply play with him. 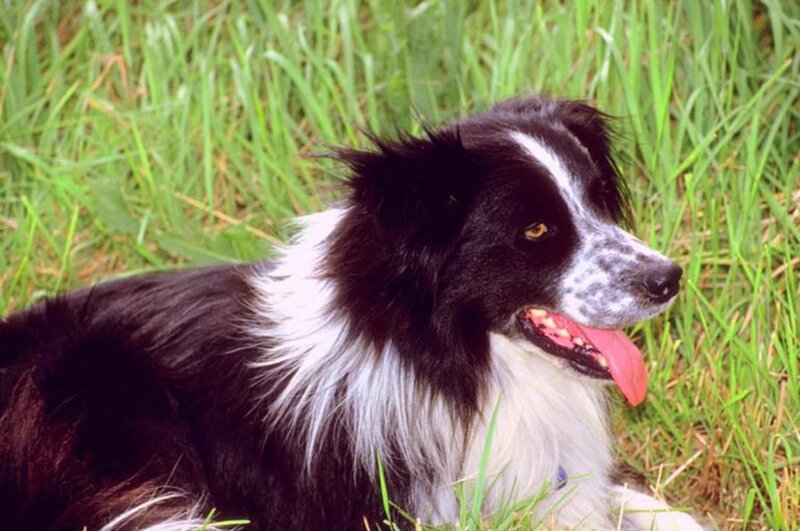 Fetch, frisbee, hide-and-seek and chase are some favorite dog games. Praise your dog, rub him and have fun bonding as you play. Rather than simply letting your dog romp in the back yard alone when he needs exercise, start exercising together. Take your dog with you when you head out for a jog, bring him on hikes or let him ride in a basket on your bike. Be sensitive to your dog's timidity and fitness levels when planning adventures, but encourage him to explore as you get in your workout together. If you and your dog are having a difficult time bonding, don't lose hope. Not all relationships form overnight, and some dogs need more time than others to build trust. Progress with a timid or fearful dog will only be hindered if you grow impatient and pushy, so remind yourself that the bond will be worth the wait. Overcoming emotional hindrances with a difficult dog will make your bond even more priceless. Consistency and routine are especially important for sensitive dogs, so set a daily routine that includes scheduled time for bonding activities. Have patience and keep your eyes on the goal as you earn your dog's love and respect day-by-day. This is wonderful and very understandable. I brought my youngest dog home too soon ( I was dog sitting, so had extras) and I should have waited. Poor Jenny freaked out. I never heard a dog panic before, but there she was, screaming and freaking out. I had to clear away my dogs and the boxers that I was dog sitting, so Jenny could relax. Even after the rough start of a few days, Jenny took the transition very well.